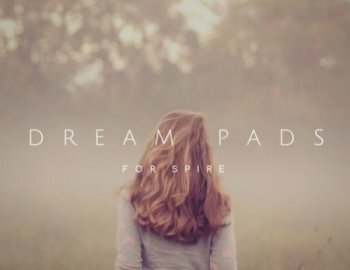 Freak Music is proud to present the greatest collection of chilled pads - "Dream Pads For Spire". This gorgeous soundbank contains 64 Reveal Sound's Spire presets, all of them are beautiful pads. From simple chromatic pads, to mesmerizing brain waving sounds, every single pad will perfectly fit in your chillstep, chillout, pop and cloud productions. This time it’s an absolutely revolutionary pack of sounds that you never heard before. These sounds give you a great start to your next track or could be a great edition to your existing projects to give you another direction or dimension to your tracks. It will become a real decoration of your collection and an excellent tool for creating modern and extraordinary sound in your music. Guaranteed to breathe life into your productions.